Costa Mesa, CA (June 9th, 2015): The first stop of the Rip Curl GromSearch presented by Banzai Bowls returned to the South Side of Huntington Beach Pier. Highly rippable 3-4 foot peaks were on offer all weekend long as the nations top 16 & under grom’s competed for the California regional titles. 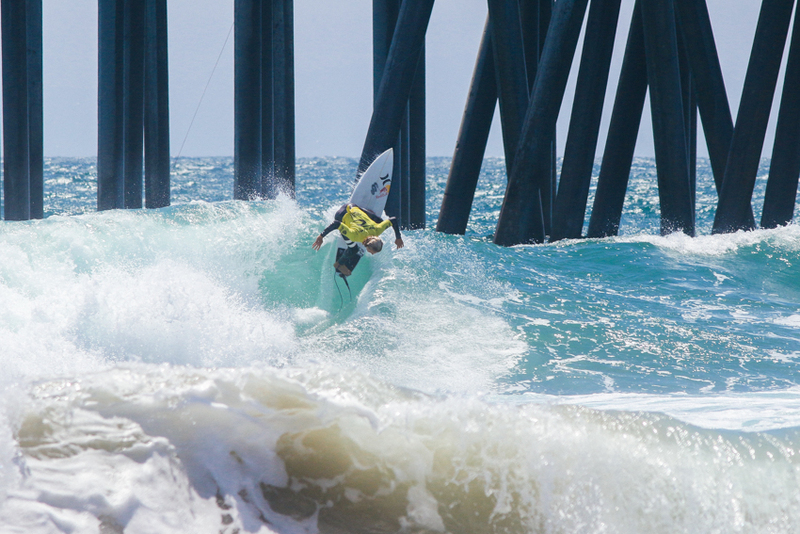 With a 160 surfers in 4 divisions, it took advancing multiple rounds to reach the all-important final. The top four finalists qualified to compete in the Rip Curl GromSearch National Final to be held at Upper Trestles, San Clemente on October 24th. For the lucky winners in the Boys 16 & Under and Girls 16 & Under divisions at the National Final, they will then be awarded an all expense paid trip to compete in the Rip Curl GromSearch International Final, which has gone on the ‘Search,’ to an undisclosed location. Standing out above the pack in the boys 16 & Under division was GromSearch vet Jake Marshall. Marshall used smart wave selection and precise maneuvers to open the final with a 9.0 as he handily defeated his fellow competitors and walked away with $250 cash and a huge prize bag courtesy of our event sponsors. Runner-up went to Santa Cruz’s John Mel. 3rd place went to above the lip specialist Gunner Day, and rounding out the final in 4th place was the event’s only double finalist, Eithan Osborne. In the girls 16 & Under, young Encinitas ripper Alyssa Spencer stepped up her game while connecting outside maneuvers to the inside shorebreak, as she took the win in a stacked final. Runner-up went to Malia Osterkamp, 3rdplace to Kirra Pinkerton, and 4th Bethany Zelasko. The boys 14 & Under final was a nail biter, as first place was decided by a split panel of judges. Edging out the victory was Oahu’s Wyatt McHale who took down Eithan Osborne, Cole Houshmand, and first time GromSearch finalist Sage Burke. 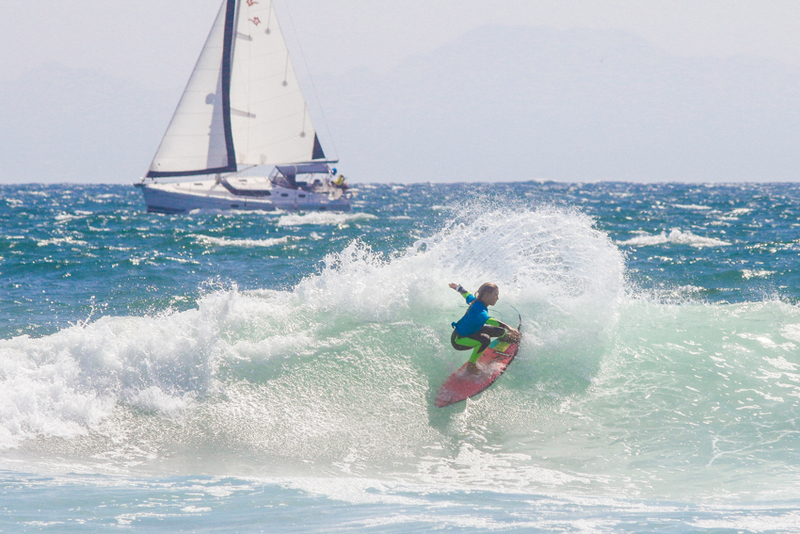 The youngest division of the GromSearch, the boys 12 & Under did not disappoint as the groms surfed well beyond their years. We’ll be seeing these youngsters in the limelight for years to come! Taking the big win was Hawaiian, Eli Hanneman, 2nd place went to Jett Schilling, 3rd Tony Nunez, and 4th Levi Slawson. Not quite making the final, but walking away a winner nonetheless was last years GromSearch National Champion, Kei Kobayashi. 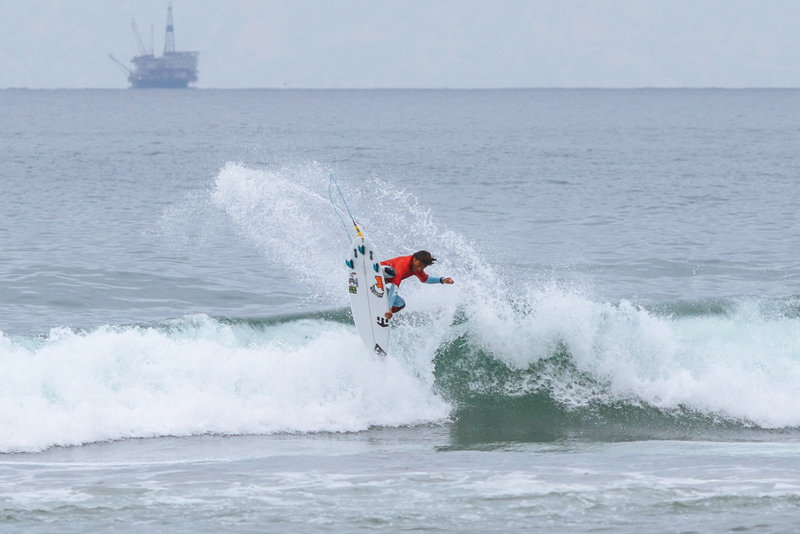 Kobayashi was awarded the Banzai Bowls maneuver of the event for a full rotation 360 air, which he stuck cleanly. Kobayashi earned $300 for his efforts, as $2 bills rained down on him during the awards ceremony as he hoisted his custom made trophy into the air. Rip Curl couldn’t be happier with the huge turn out, fun surf, and great event vibe, featuring America’s top 16 & under talent. Head to www.ripcurl.com/gromsearch for post event coverage, video highlights, photos, event info and more. 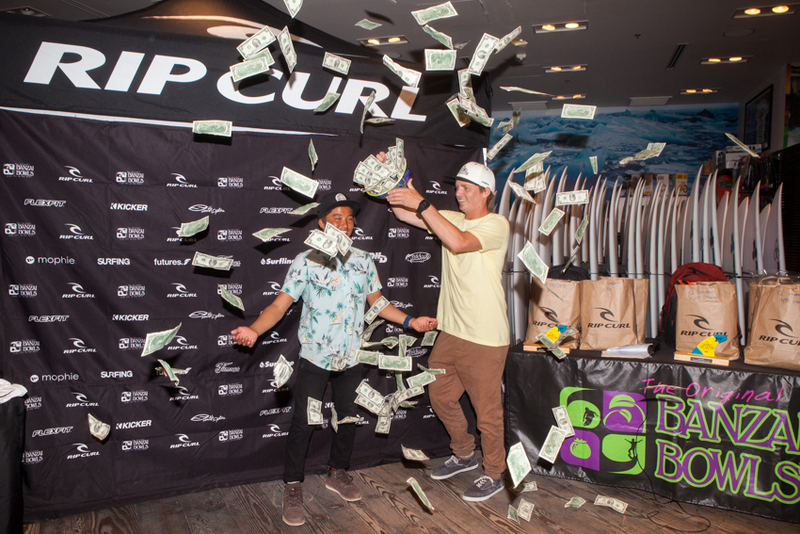 Rip Curl would like to thank its 2015 official sponsors: Banzai Bowls, Smith Optics, Futures Fins, Flexfit, Surface Sun Systems, Kicker Audio, DHD Surfboards, Famous Surf, and Wahoo’s Fish Tacos. Be sure to head to Surfline.com and SurfingMagazine.com to check out post event coverage. You can also be a part of the action by voting for the #SurflineMoment on Surfline’s Facebook page, and the Kitten Vs. Cub video competition on the Surfing Magazine website. We hope to see you at our next GromSearch event July 11th or 12th at Kewalos, Oahu. Sign ups available now at ripcurl.com/gromsearch.